Heat oven to 350°F. Spray 8 regular-size muffin cups with cooking spray. Set icing from cinnamon rolls aside. Separate dough into 8 rolls; cut each roll into quarters. 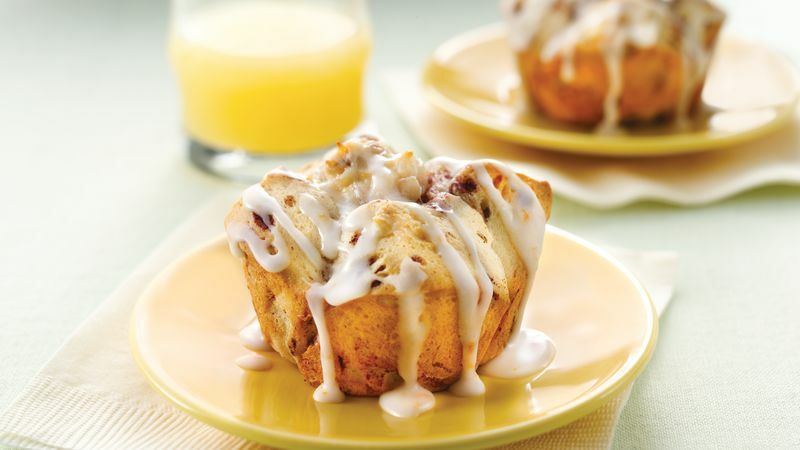 Place 4 quarters, points up, cinnamon topping in and separated slightly, in each muffin cup. In small bowl, mix cream cheese spread, walnuts and 1/2 teaspoon of the orange peel. Place rounded teaspoonful of mixture into center of dough in each cup. Bake 17 to 22 minutes or until light golden brown. Cool 5 minutes. Run knife around edge of cups; remove rolls from cups to serving plate. Remove cover from reserved icing. Microwave on Medium (50%) 5 to 10 seconds or until thin enough to drizzle. Stir in remaining 1/2 teaspoon orange peel. Drizzle icing over rolls. Serve warm. Feel free to swap out the finely chopped walnuts for another nut.